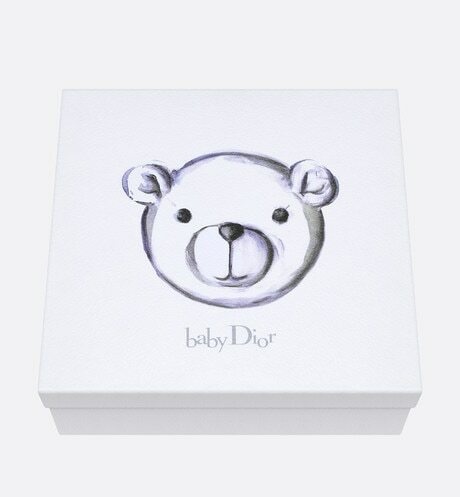 The emblematic teddy bear from the Baby Dior collection is the perfect little friend for babies right from their birth! 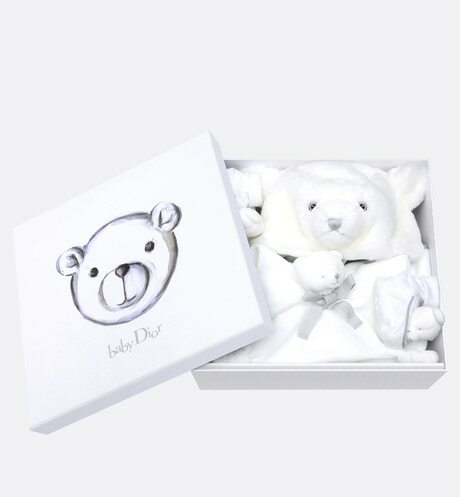 In addition to soft toys, it also features in a newborn set for all of baby's adventures. 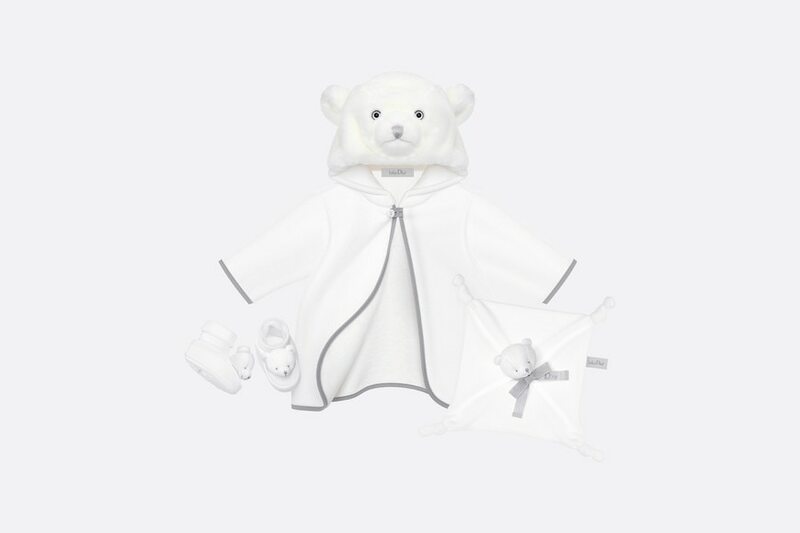 The Teddy Bear set comprises a hooded bath towel, a pair of booties and a soft toy, all adorned with a cute bear and made from cotton jersey and faux fur.